As mankind changes the planet’s ecosystems, imperceptibly it also changes the distribution of animals and their genetics. Evolution never stops. So it is with members of the “dog family,” the Canidae, who have always shared the planet with mankind. After its virtual extirpation over the last century and a half in America and Europe, the Grey wolf (Canis lupus lupus) and its smaller cousin, the coyote (Canis latrans) are re-distributing throughout their previous domains, and even colonizing new environments. There is a growing concern about human interaction with these wild carnivores, in ecosystems increasingly shaped by, and managed by, man. Hence the need to understand that while they are all members of the dog family, behaviourally they are not domestic dogs (Canis lupus familiaris). Wolf behaviour towards humans changes with the environment and with increased frequencies of human and wolf encounters. Wolves have been as successful as humans in populating every continent except Antarctica, because like homo sapiens they are extremely intelligent and adaptable. Wolves have an intelligence of this world unlike ours. They study their prey, and sometimes humans are prey, as we study them. Throughout the wolf’s range, the history and mythology of all cultures records our competition and coexistence with wolves. Wolves have been an integral part of humanity’s evolution. As we enter the age of biodiversity collapse, or as biologist E.O. Wilson names it the “Eremocene” — the age of loneliness — understanding how and why we need to further that co-existence is more important than ever. The wolf is, after all, our evolutionary link to the wilderness that houses the memory of biodiversity. 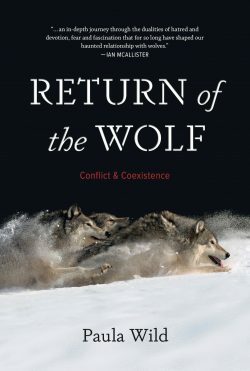 Paula Wild’s Return of the Wolf: Conflict and Coexistence is therefore a very timely guide to understanding wolves, and how we might adapt our human behaviour to co-exist with wolves. The book aims to encompass the Grey wolf’s distribution in America and Eurasia, but the focus is predominantly North American. It does not include extensive work done in Russia. Return of the Wolf opens with a general cultural introduction to human attitudes to wolves, followed by chapters on 19th early 20th twentieth-century extermination and wolf behaviour, which brings back some considerations on the individuality and personality of “the wolf.” By visiting domesticated wolf hybrids, Wild provides personal insights into wolf elusiveness. Lest the reader get too sentimental, Chapter 5 describes how these carnivores make their living with their extraordinary sense of smell, and their ability to work with ravens to find and kill prey, which feeds both wolves and ravens as well as attending carnivores. Chapter 6 gives a good overview of the complex relationship of wolves with domestic dogs and coyotes, on whom wolves preferably prey, though they will occasionally mate with either, as numerous genetic studies have shown. Chapter 7, “Wolf Wars,” is the pivotal point in Wild’s narrative. She sets the tone for a thesis that she will develop in subsequent chapters: “Writing about wolves is writing about death,” namely the death of wolves whose interests clash with those of ranchers and hunters, and even hikers. Here she introduces the key work of Troy Bennett, a shepherd who is largely responsible for the reintroduction of the wolf in France, and for much of the legislation that has made the controversial return of the wolf in Europe possible. 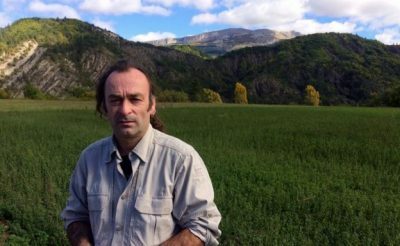 Bennett has spearheaded wolf conservation by studying and reintroducing traditional sheep herding practices still common in Romania, which is home to the highest population density of wolves in Europe, and possibly one of the largest remaining intact wilderness areas in Europe. Bennett rediscovered and now advocates sheep management practices, which were common practices in the Middle Ages and Renaissance when wolves, and relatively intact wilderness, were also common throughout Europe. The practices involve labour intensive night penning and the use of a variety of guard dogs reared to dissuade wolves. This raises an extremely important point that seems to be overlooked by Wild. Although she alludes to a general shift in demographics in America (p. 124) in terms of percentage, percentages don’t really give the reader a good understanding of the impact of population densities on natural ecosystems. To tell the reader that, “In 1800, city dwellers were a scant 3 percent of the population, a century later it was 14 percent and, as of 2017, more than 80 percent of people residing in Canada and the US live in cities,” is almost meaningless if the exponential growth of the total population is not taken into account. Percentages give the false impression that total population and its impact per area remain constant. According to Statistics Canada, Canada’s population in 1800 was 427,464; in 1900 it was 5,301,000; now it is 37,500,000. Therefore, using Wild’s percentages, the number of people residing in rural conditions in 1800 was 414,640, in 1900 it was 4,558,860, and today 7,500,000. This means that although North American cities have grown exponentially, and growth in rural environments has been slower since 1945, there has nonetheless been a constant population increase and development of “wilderness.” While growth in agricultural areas has stagnated globally, in North America resource development has continued to shrink the area of intact wilderness. 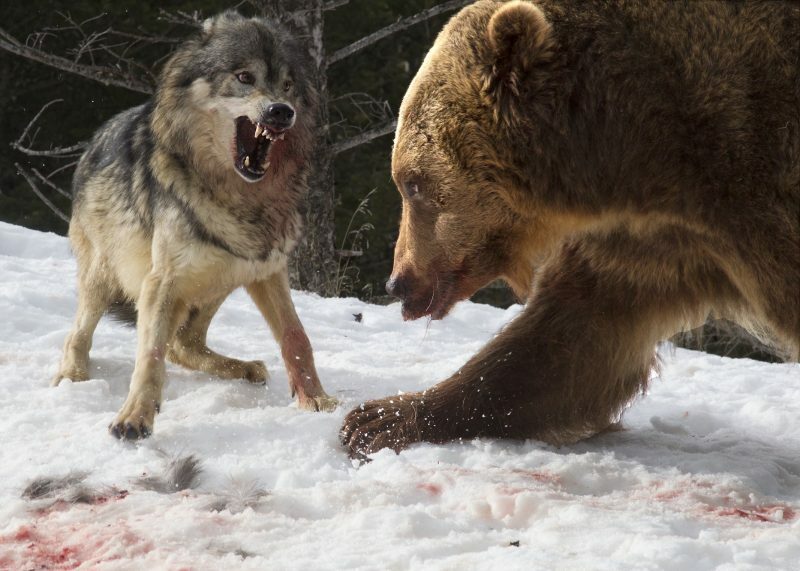 The thesis in Paula Wild’s account of the wolf is articulated from the outset: “A huge fallacy is that healthy North American wolves do not pose any danger to humans.” The wolf as a potential predator on humans becomes the explicit topic of the last four chapters (9 through 12). The general question from Wild’s perspective is, therefore, that if the wolf does pose a threat to humans, how can we best understand the wolf and share our space with it? Absent from the discussion is why this so-called “huge fallacy” may not have been a fallacy for the previous two to three hundred years in America. There are no healthy wolves outside of their healthy habitat. The proper habitat of the wolf is wilderness. In order to adequately discuss the status of the wolf one has to weigh the less considered question of the current health of our wilderness. To talk about “the wolf,” whether ethnographically or biologically, is to tackle the question of our relationship with “wilderness.” As one economist recently put it, we live in a world in which “most people assume that life is beautiful and local ecosystems are in good health.” Just as we take wilderness for granted, so too do we take the wolf for granted. Wilderness is as misunderstood as the wolf itself, in our increasingly suburbanized and digitalized global, largely disconnected, society. In some cultures, such as First Nations, there is traditionally no “wilderness,” because wilderness is co-extensive with cultural meaning. 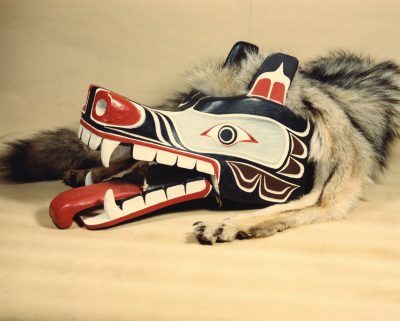 For “hunter-gatherers” the wolf is a totemic animal, and to be human is to be a potential wolf and a possible member of a wolf clan as deeply socially knit to kin and place as is the wolf family in a space shared with the human family. In other cultures with a pastoral history, like the Greco-Roman, wilderness is everything alien and threatening outside the city-state, as is the emblem of wilderness, the wolf, to the pastoral economy. Even so, the Romans, whose founders were raised by a wolf, knew that man was always a potential wolf, albeit a paragon of human cruelty. As Plautus mused, “Homo homini lupus” (man is a wolf to man). The wolf is cruel or noble depending on wilderness’s potential for being either John Muir’s “Holy Temple” or Nathaniel Hawthorne’s “hopeless snare,” the devil being a particular rabid familiar of America’s puritan founders, often confused, as were local wolves with witches. Paula Wild provides a good general introduction, covering some of the cultural and anthropological background in the first three chapters. Unfortunately the introduction over-generalizes. She homogenizes First Nations’ interpretation of the wolves as though all First Nations cultures interpreted “the wolf” in the same way. 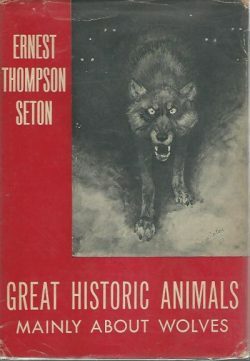 She also resurrects as fact Ernest Thompson Seton’s fictitious tale of Lobo, without taking into account the famous controversy over “nature faking” that it sparked among the giants of “nature writing” from Burroughs to Theodore Roosevelt before the First World War. The presentation of Seton’s fiction as fact one hundred years later leaves Wild’s own account open to question, as Wild herself oscillates between factual account, personal anecdote, and subjective anthropomorphic description. Wild’s conversational approach to a complex problem is itself sometimes problematic, though always worth reading. She alternates between personal anecdote and scientific references without footnotes or endnotes to guide the reader. While she notes in her introduction that, since 1980, wolf populations have been rising and re-occupying regions where they had once been extirpated, she gives few references to research or data to substantiate this. Anecdotes can take her indiscriminately from Norway to Athens and Tofino in less than two sentences and immediately back to a camera in Tofino and to an unnamed city in Minnesota in the next: “Trail cameras in Tofino on the West Coast of Vancouver Island show wolves taking nocturnal strolls and a healthy wolf was discovered living in a small city in Minnesota” (p. 7). The danger in logical clumping and what it entails is borne out by the fate of Dr. R. Wielgus’s research and the political controversy it provoked in the form of an attack on science and academic independence by Washington State rancher and politician, “Joel Kretz, Representative of the 7th Legislative District and Deputy Minority Leader, [who] engaged in a prolonged pattern and practice of unethical behavior that includes threats to public researchers, attempted bribery of university administrators, and attempts to force university administrators to fire tenured professors as a means of suppressing peer-reviewed research that undercuts his personal interests.” Wielgus demonstrated that contrary to what one might expect, wolf culls destroy social structure of wolf populations by indiscriminately removing older males who control killing rates by younger males. Counter-intuitively, culling results in higher livestock mortalities. Much like the use of percentages in human demographics, culling reduces numbers but does not account for long-term social or ecological systemic effects on ecosystems. 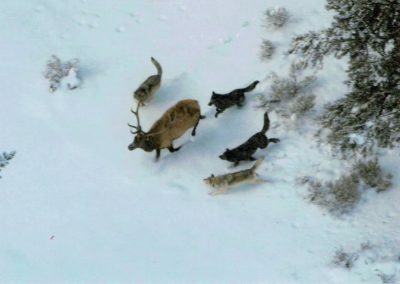 By implication, Wielgus’s excellent scientific research challenged the simplistic assumptions of most wildlife managers, ranchers, hunters, and fishermen who advocate for culls of wolves, badgers, and seals with little understanding of species ethology and its relationship with local ecology. 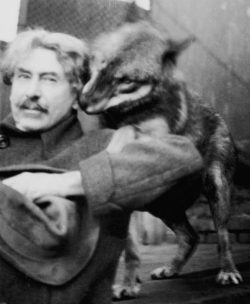 It is strange that this “cause célèbre,” which in the world of wolf research is on par with L’Affaire Dreyfus, is absent from Wild’s work, since it dominated mainstream media during the period when The Return of the Wolf was in preparation. Wild’s account is a useful journalistic introduction to an extremely complex problem. Unfortunately the account comes without a good questioning of the current state of the wilderness, which is the context not just of “the wolf,” but of the many varying wolf populations distributed throughout the ecosystems of North America. There is a misleading assumption that wilderness is a given that humans and wolves can share, even as humans modify and destroy wilderness both passively through anthropogenic climate change and actively through natural resources exploration and development. Wild’s otherwise thorough account of popular concepts of “the wolf” therefore poses a larger problem of definition and place that can lure the reader into intellectual complacency. 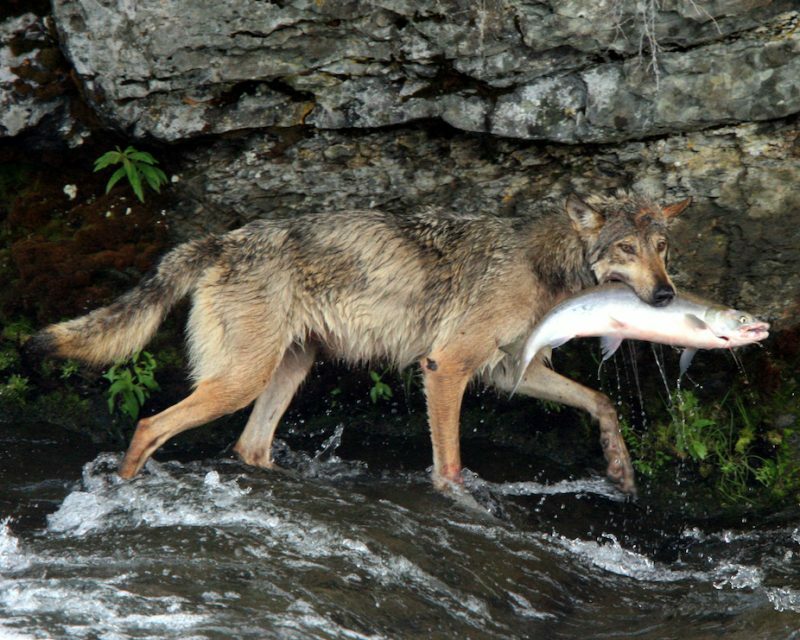 The potential for complacency becomes obvious if we consider the fate of the two longest-running ecological wolf studies in North America: Isle Royale in Michigan and Yellowstone in Wyoming. Moose colonized Isle Royale thanks to the formation of periodic ice bridges from the Canadian north shore of Lake Superior; wolves joined them in 1948. 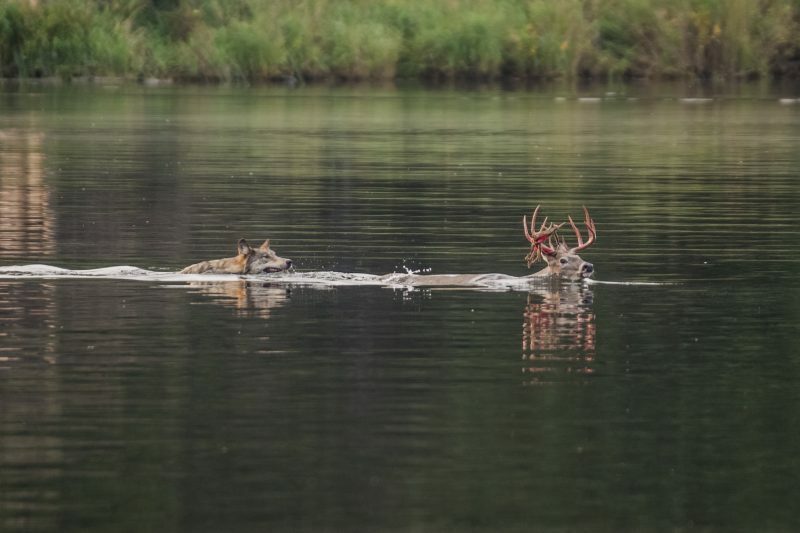 Studies showing how wolves and moose dynamics mutually control their populations and local ecology have been carried out there since 1958. In recent years, however, due to warming trends associated with climate change there has been little or no new gene flow to either moose or wolves. Wolf inbreeding has resulted in a collapse of the original 1948 wolf population, which is now being replaced artificially. What this is likely to mean for the future of Isle Royale’s ecosystems can be answered by what is currently happening at Yellowstone. The Yellowstone experiment, which began with the re-introduction of 36 Canadian wolves in 1995, has proven to be a remarkable success. It has demonstrated two key things. First, that the population control that wolves bring has a direct impact on vegetation, which in turn improves water quality and fish habitat. Second, that the level and quality of ecosystem recovery provided by apex predators far exceeds, and cannot be replaced by, human manipulations and restoration. Apex predators, such as wolves, are essential constituents of native ecosystems as we have known them until now. In a relatively steady-state environment, wolves are therefore key to the restoration and health of intact wilderness. That assumption holds only as long as these ecosystems are not pushed beyond their tipping point. As scientists are now observing, human-driven climate change is shifting entire ecosystems. Polar bear populations are collapsing simply because ice, which is disappearing, is to polar ecosystems what soil is to forests. Without ice, polar ecosystems are re-organizing into novel ecosystems in which the polar bear has no place. We are moving into unknowns. [T]he country’s first national park will quite likely see increased fire, less forest, expanding grasslands, more invasive plants, and shallower, warmer waterways — all of which may alter how, and how many, animals move through the landscape. Ecosystems are always in flux, but climate change is transforming habitats so quickly that many plants and animals may not be able to adapt well or at all. That means that after over 10,000(+) years of relatively intact “wilderness” since the birth of agriculture, in the last 100 years a staggering 62 percent of global wilderness has been systematically exterminated by human development, together with a similar proportion of wildlife. As reported by the World Wildlife Foundation, Canada has lost a staggering 60 percent of its wildlife since 1970. Wilderness continues to be eliminated to this day at a rate unprecedented since the great Cretaceous extinction. This is proceeding even as scientists call for the urgent need to set aside 50 percent of the planet if we want to preserve functioning biodiversity for our own wellbeing. Permit me to expand on this. B.C.’s mutilated landscapes — scarred by decades of industrial forestry that continues as the NDP-Green government permits clearcut logging of the last of Vancouver Island’s old-growth forests, as well as within provincial park boundaries, such as “The Donut” between Manning and Skagit Provincial Parks — bear witness to the actual state of the ecosystems and wild fauna and flora that are essential to the preservation of the True North’s wilderness and identity. Spotted owls, a wilderness conservation emblem, have collapsed to a population of less than a dozen in B.C. Caribou populations across Canada are collapsing, largely due to decades of forestry and oil and gas extraction. The general attitude is that they are “too expensive to save.” Half of B.C.’s Chinook salmon populations have been found to be “endangered” by COSEWIC (the Committee on the Status of Endangered Wildlife in Canada), at a time when the future of iconic resident killer whales of the Salish Sea hangs in doubt through Chinook collapse, intensified recreational and commercial boat traffic, and the threat of future oil tanker traffic. The declines of polar bears and caribou are just the most widely publicized concerns. If there is a fit for “the wolf” today, it is in that precarious man-made context. It is not a simple question of a fallacy, as Wild puts it, “that healthy North American wolves do not pose any danger to humans” (p. 4). It is a question that we cannot expect to have healthy wolves, or healthy humans, in an increasingly endangered and ecologically “unhealthy” wilderness. Wilderness is a mirage in the Canadian psyche, not unlike “the imaginary Indian.” We assume that “The True North” still exists, that the all too numerous mega- resource projects like Site C or the Athabasca Tar Sands can continue infinitely without having a cumulative vanishing impact on the very wilderness which jingoistic national pride claims as “the Canadian experience.” Wilderness is always that place of the mind beyond the edge of “natural resource exploitation.” It is the place where Stan Roger’s Franklin points. It is the infinite indomitable pioneer space. It is a definition we live by of a generalized nature beyond us that informs our recreational spaces, which we expect will always remain even as we destroy them. As such, we treat the place of wilderness as a platonic definition or idea, much as we do the definition of “the wolf.” In so doing we forget the fragility of nature, the elusiveness of wilderness, and the individuality of wolves, wolf populations, and wolf families. Wild devotes much of the book to convincing the reader that communities can come to live with “the wolf.” She provides good examples and case studies, such as the community program on Cortes Island, to educate the public on how to dissuade wolves from preying on pets and humans. The techniques of exclusion she proposes are known as “hazing” (the benign use of noisemakers, harmless projectiles, repellants, etc. ), which are growing in popularity in North America as wolf and coyote encounters increase. These have been used with general success with coyote populations, which have been increasingly settling in urban centres. Finding ways to make coyotes fear humans again is “tricky,” said Roland Kays, an ecologist at North Carolina State University and the North Carolina Museum of Natural Sciences. “Because out in the wild in rural areas if a coyote gets bold and hangs around people, it’s going to get shot,” he said. 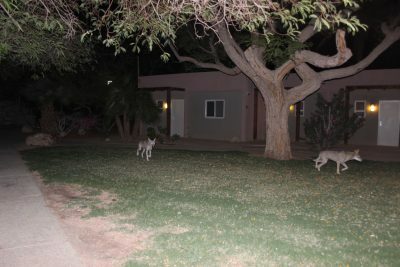 “And in urban areas that just doesn’t happen.” In Denver, officials encouraged residents and city staff members to use exclusion techniques on coyotes, but most important was the advice for humans to change their own behaviour. The undiscussed problem is that with our own population growth, we are turning rural landscapes into a vast economically and ecologically unsustainable suburbia. Negative wolf-encounters should be taken as symptoms of an “unhealthy” environmental condition driven by mankind. Wolf-hazing is not a panacea. It should really be considered a stopgap measure until humans learn to manage their own behaviour and the associated destruction of wilderness. Return of the Wolf should be read as an invitation to rediscover that green inner fire known only to the wolf and the mountain that Troy Bennett and Aldo Leopold have written about. It is an essential invitation if we are to meet our obligation to save “Half-Earth” for future generations. A graduate of the universities of St. Andrews, UBC, and Saskatchewan, Dr. Loys Maingon first taught environmental studies in 1986. 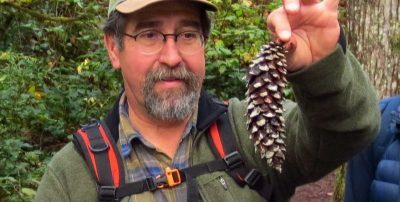 An avid naturalist and a professional biologist, he is past president of the Comox Valley Naturalists and current webinarhost for the Canadian Society of Environmental Biologists. From his home on the Tsolum River near Merville, he owns and operates an endangered plant nursery and oversees a number of regional conservation programmes. He is also Research Director of the Strathcona Wilderness Institute. Since 1999, he has run Aardscan Biological and Environmental Limited, an environmental impact consulting firm. Arrested at Clayoquot Sound in 1993, Loys remains a strong advocate of social, economic, and environmental change. He contributed a chapter to Clayoquot & Dissent (Ronsdale: 1994). Lindblad-Toh, Kerstin; Wade, Claire M; Mikkelsen, Tarjei S.; Karlsson, Elinor K.; Jaffe, David B.; Kamal, Michael; Clamp, Michele; Chang, Jean L.; Kulbokas, Edward J.; Zody, Michael C.; Mauceli, Evan; Xie, Xiaohui; Breen, Matthew; Wayne, Robert K.; Ostrander, Elaine A.; Ponting, Chris P.; Galibert, Francis; Smith, Douglas R.; Dejong, Pieter J.; Kirkness, Ewen; Alvarez, Pablo; Biagi, Tara; Brockman, William; Butler, Jonathan; Chin, Chee-Wye; Cook, April; Cuff, James; Daly, Mark J.; Decaprio, David; et al. (2005). “Genome sequence, comparative analysis and haplotype structure of the domestic dog”. Nature. 438 (#7069): 803 in 803–19. Bibcode:2005Natur.438..803L. doi:10.1038/nature04338. PMID 16341006. Aldo Leopold. A Sand County Almanac. ) Oxford University Press, 138. Adam Perou Hermans et al. 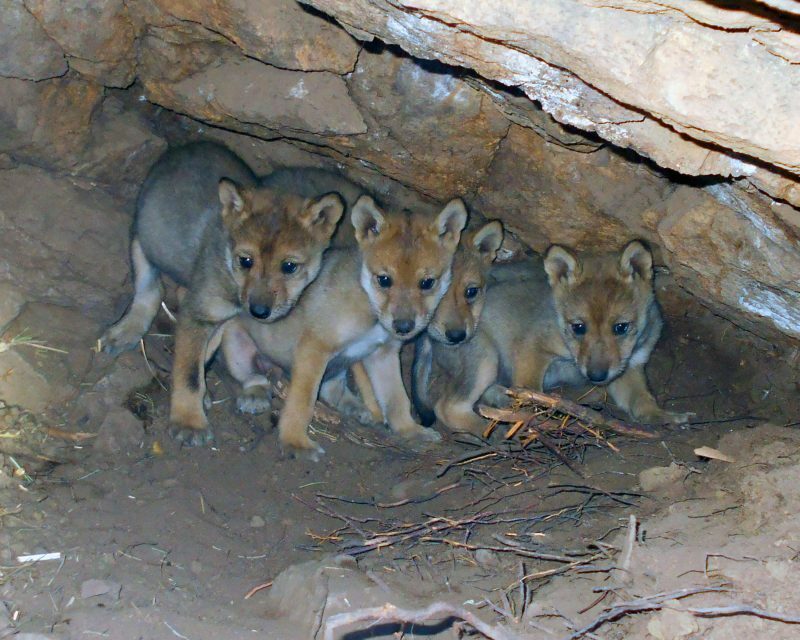 (2014) “Wolf Reintroduction: Ecological Management and Substitution Problem. Ecological Restoration 32:3, 221-228. Loys Maingon (2018) “Asking the Wrong Question: Redundant Government Policy or Resilience as a Pretext for “Business as Usual” with New Names” The Canadian Society of Environemntal Biologists Bulletin. 75:4, 10-14. Elizabeth Heppenheimer et al. (2018). High genomic diversity and candidate genes under selection associeted with range expansion in eastern coyote (Canis latrans) Ecology and Evolution. December 1-15.